Much cute pillows! as is everything else you make! wonderful! i love these pillows so much! cool! they look great, matte! These would look great on my sofa and my wife would absolutely LOVE them. To win these pillows would be so exciting! I love your art! Oh, to be a pillow-rich person. Thanks for the comment & the link. Count me in! I love your design work/illustration. cheers! This is great! I love those pillows so much as well as your art. Awesome! Love them SO much. Oh boy! Your art and pillows, two of my very favorite things!Just to be nice, I'm gonna send this opportunity to all my friends. Hopefully, I'll up my chances of at least getting one! Thanks so much for the giveaway! Beautiful work! Great idea to do a giveaway! this post is meek, humble, and deserving of your fabulous art pillows. Well geez, how can I not want in on THIS? I love everything you do Matte!! You are a rock star in the design world!! I love love LOVE your style!! Well, what the heck? I've got as good a chance as anyone, right? things just keep getting better. yes please! Hi Matte! I hope you design fabric some day. i already thought you were awesome, but this just seals the deal. pick me matte! pick me!! i will make sure gladys never gets to them. hee. (you know where to find me). Dream come true! When do they become available to all the not-so-lucky pillow poor? pretty, pretty. i would love to be pillow rich, even if i am sleep poor. Oh how I would love to win these! Matte, you're awesome! Moi j'aime pas les jeux comme ça parce que j'ai jamais de chance ! Mais plus que tout, je crois que ces trois objets méritent bien plus que du hasard pour être reconnus. Alors oui, je laisse un commentaire, mais j'enrage d'habiter Paris et de ne pouvoir profiter des magasins Urban Outfitters pour justement me payer la tête du hasard. Encore une fois bravo pour ton travail Matte. i love city's and you're pillow so beuatifull with all the houses on it. Yeahh!! They would look great on my couch! These pillows are fantastic! I love them! I wouldn't mind having one of these lovelies! lovely pillows; i would be delighted to have them in my home. are they screenprinted? so cute!!! i love your work and would be honored to have an original piece..have a great day! I would love to win them, they are beautiful! Is there any fine print? Like say employees and their realtives of MatteCorp are ineligible to participate? They are too awesome! Delicious pillows! Yes, yes, and yes! hey matte, i came to leave a comment that i saw yr pillows on the LRS blog, and i find a full on rave in progress! anyway, LOVE these pillows--whether i win one or not! of course, if i win one, i will love it in 3D! you make it look so easy to be so talented - love love love it! I'd love to win one of these lovely things - am I allowed to enter, being in UK? I'm pillow poor. You can change that. Hi Matte, these are cool pillows and good to have the chance to get them when you don't live in reach of urban outfitters! Hope they'll travel to Berlin! Those are the cutest pillows ever! Thanks so much for giving us a chance to win your beautiful artwork. OH my goodness, those are too adorable to give away! It's the bird beloved by France and... is it the Gramercy landscape? OMG, the birdie on the stump? The best! oh my goodness. three pillows? that's fancy. EXTRA-fancy! Is there really that much Love? .... Alright I love them too! These are so charming! I just love your style of art, and I hope to be the "pillow-rich person"! Is Vivienne your daughter? Beautiful name!! These are the most magical pillows that I have ever seen in the WORLD!!! this is definitely s sweet treat! i hope i can get my hands on those! Awww, I love your art! I would kill for these! Oh those pillows are amazing! I will need a nicer couch on which to display them! what an amazing giveaway! i love all of these pillows so much! any mention of pillows instantly makes me think of "planes, trains and automobiles" (in the best way of course!) please put my name in this raffle-daffle. I have the perfect spot for these, in between my 17 year old Mainecoon cat and my 17 month old son :) We are all big fans. My son has two of your fabulous prints in his room ! you know you want to pick this piece of paper, vivienne. so pick me! I would design a room around these pillows! I love them!! Cutest. Pillows. Ever. I hope I win! I would like to win those pillows!!! these pillows are great. thanks for the giveaway opportunity. quick tip: before you put the names in a hat, lick mine. that way you can cheat when your feeling for names... but seriously, thanks for the opportunity! Eenie meenie miney moe! I have no idea if I spelled that right, but pick me!!! first comment on a blog. ever. i would never forgive myself if i didn't enter to win these lovelies. OH MY GOD! They are just goergous! OMG they are all so cute!! :) It would be sooo good to win them! Thanks for the opportunity! Throw my name in the hat please - thank you! Wow ! They are soooo beautiful ! I hope I'll be lucky ! I love them! I just got a new charcoal grey mid-century style sofa, and they would look amazing perched on it. The pillow trio is truly a tweet prize. I'd love to win. Birds are among my favorite things. *so* cute! Now I am going to have to read more about what you've got to offer! Please let it be me!!!!!! I love your work! This is AWESOME!!! thanks for this amazing giveaway!!!! I can already picture taking a nap snuggled with one of these. Matte, I love your work and these pillows are incredible! these are PERFECT for my place - been itching for a Simon print but I don't have much wall space, but I do have a couch which REALLY needs some upgrading! Thanks for the chance to own these, they are gorgeous. Now it's a case of fingers crossed until the 11th. Oooh oooh oooh! What beautiful birds! I'd love to have those pillows in my place...Thanks so much for doing this give away! If I win, I can be reached through the contact section of my blog! Fingers crossed! Really great design, love them all. I loooove your work and these pillows! I hope I get picked! These are the loveliest pillows! Thanks! i can't even imagine how many comments you're going to get! I want to go to there! Please pick me! great colors! hope to be the lucky one! me! me! please pick me! super cute, hope I win, looks like a 1/137 chance, huh? The cushions look truly ace - they remind me of being small but make me glad I'm big. I hope they sell like crazy for you! Never win nothing till now on giveaways games around the web... but this is one of the most beautiful giveaways I've never seen! Matt, I love your artwork, and I would really enjoy finding the perfect spot for these fun pillows! would look so cute with my owl print! How lovely these are! My fingers + toes are crossed! These are so cool. I love your illustrations. These are fantastic! Oh Vivienne, please pick me! Beautiful. I especially like the city one. I can't decide which one is the most rad! 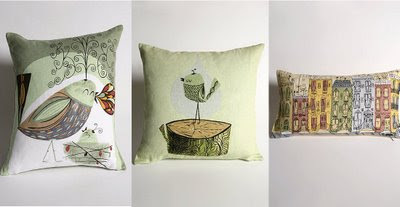 Such beautiful pillows -- I would treasure them if they were mine! Look at all these comments! I had to play too. :) The pillows ROCK. I wish I could get in on this! When I first saw them available at UO I was so excited but alas, the online ordering process doesn't work out for me now that I'm back in a country with no delivery. :( They're so wonderful. these are such beautiful pillows I can't believe it. They would match my living room so well. Love them! I didn't know you'd branched out from prints. I love these! Hope I get picked! Gorgeous pillows, count me in! What charming pillows! I have no luck, but I thought I'd give this contest a whorl. Yes..I would love to win. what a great way to end the work week! OOOOO, baby, do I want these pillows! Those are amazing!!!! They'd match the remodel I'm doing in my daughter's bedroom . . . but if I won them, I think I'd probably not share them! Hee!! very, very cute pillow. thank you for offering them! looks like your going to need a HUGE hat! id love these pillows forever! 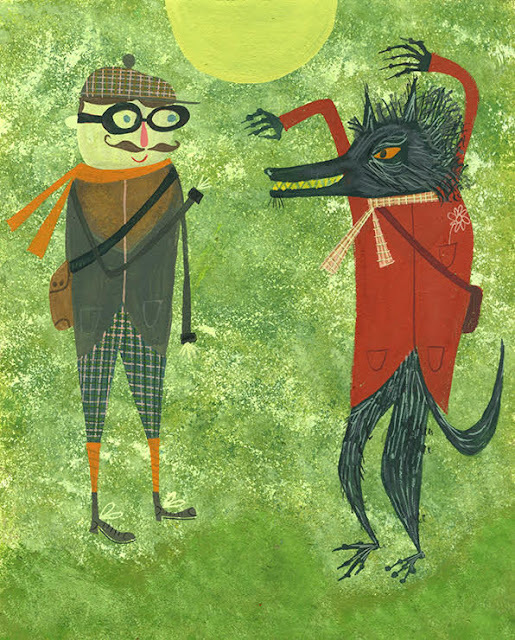 ♥ matte stephens art is wonderful. Wonderful pillows! I hope I win! Oh Matte, I love your work! I didn't even know you were making pillows... I'll keep my fingers crossed! ...there's going to be a lot of names in that hat! those pillows are awfully stylish! Sooooooooooo &%#@ing NICE! Well done, sir. these are GREAT! i just made some painted canvas pillows with ed emberley-inspired trucks on them, and i would love to have these reside alongside our little fleet of trucks. nice work! Oh! I love these, pick me!!! Love these!!! They would look so cute in my apartment!!! oo la la! These'd sure look sweet in my teeny apartment. they are amazing! jamie s.
Absolutely gorgeous! Pick me...pick me!!!!! I have never seen your work before- but I love it!!! Thanks for offering this great chance to win! oh i love your pillows! i've been looking for something to spice up my couch! yay. Those pillows are EPIC. Just checked out your etsy shop and I love all the prints, but especially "everyone thought Leonard was a boy genius...". I love your style of illustration. Reminds me of the books I had handed down to me from my sister. Ah! They all completely match my new craft room. They are fabulous! They are GORGEOUS! And I really have a thing for pillows and green. I was just eyeing these with lust on the Urban Outfitters site yesterday. What happy timing! Please put my name in the hat too. Oh gosh, i would just LOVE to WIN something! i haven't since i think i entered a contest to win a "BIG COUNTRY" record in about 1982. i won it! such a lovely feeling... these beautiful pillows...dreaming of sitting in my home.